For the third consecutive year, the collaboration between La Biennale di Venezia and the Victoria and Albert Museum, London has made it possible to present a Special Project jointly organised by the two institutions. 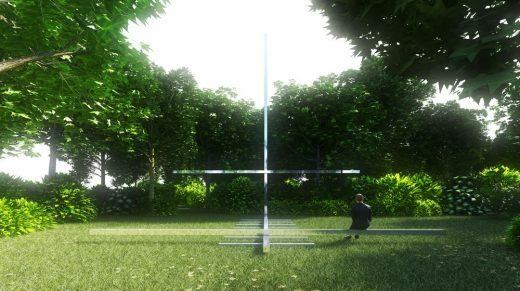 Robin Hood Gardens: A Ruin in Reverse is the title of the exhibition curated by Christopher Turner and Olivia Horsfall Turner at the Applied Arts Pavilion in the Sale d’Armi Arsenale. 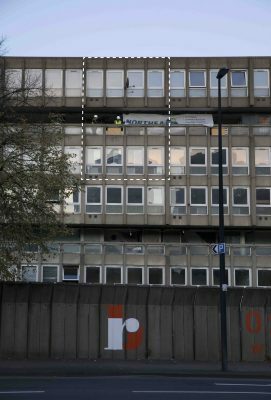 Responding to this year Architecture Biennale’s theme of FREESPACE, the exhibition Robin Hood Gardens: A Ruin in Reverse presents a 9m-high salvaged section of the façade of Robin Hood Gardens, the Brutalist housing estate by Alison and Peter Smithson currently under demolition. A specially commissioned installation by Do Ho Suh shows a panoramic portrait of the architecture and interiors of the condemned 1972 estate. Through archival film and images, the exhibition also explores the utopian vision of the Smithsons, and in documentary interviews architects, critics and residents offer their analysis of the estate’s legacy and offer their ideas on the future of social housing. In 2017, just before demolition of the estate began, the V&A decided to save and preserve a three- storey section of each façade and the interior fittings of two flats. 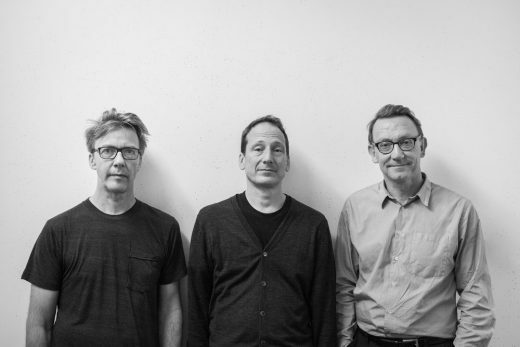 The resulting fragment will take its place in the V&A’s national collection of architecture as an internationally significant example of Brutalism. 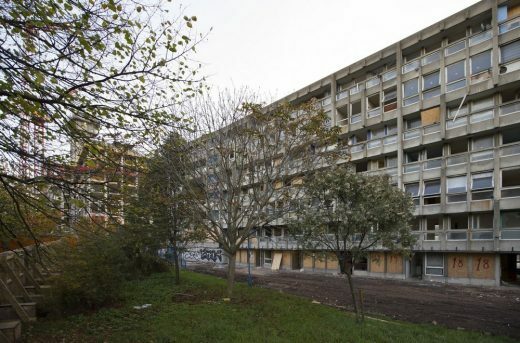 Robin Hood Gardens was the culmination of twenty years of research into social housing by Alison Smithson (1928-1993) and Peter Smithson (1923-2003). They intended it to be ‘a demonstration of a more enjoyable way of living … a model, an exemplar, of a new mode of urban organisation.’ Less than fifty years later, the building is being demolished, having controversially been denied protection by listing, and will be replaced by a £300m redevelopment of affordable and private housing. 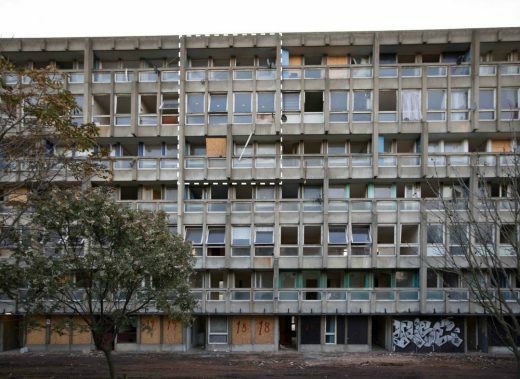 This is not the first time that Robin Hood Gardens has featured at La Biennale di Venezia. In 1976, in the 37th International Art Exhibition, the Smithsons’ exhibition ‘Sticks and Stones’ included a billboard-size photograph of Robin Hood Gardens shortly after completion and a bench based on one of the concrete columns that articulate the façade of the building. ‘A building under assembly is a ruin in reverse’ they wrote. Now that the ‘ruin in reverse’ has become a real ruin, what lessons can we learn from its ideals and fate? 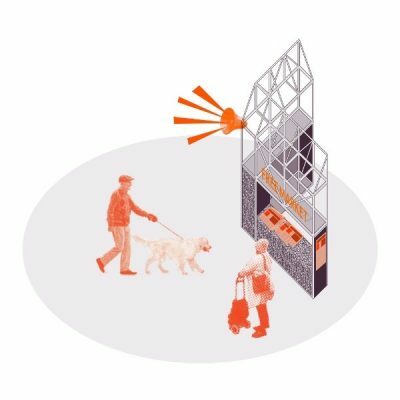 In the context of unprecedented urban pressures and the redevelopment of numerous post-war housing projects, what is the future of social housing? Outside the Pavilion of Applied Arts, three storeys of the original façade, weighing approximately eight tons, have been reassembled on a scaffold designed by ARUP, who engineered the original building, with muf architecture/art, who first proposed the V&A’s acquisition of the fragment. 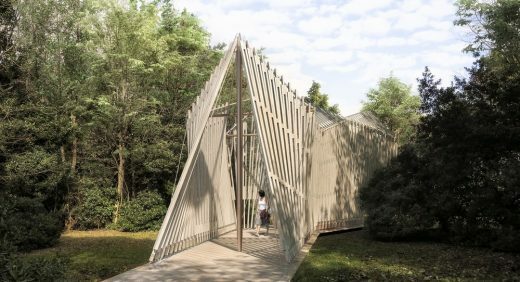 This structure allows visitors to stand on an original section of a ‘street in the sky’ – the elevated access deck designed by the Smithsons to foster interaction between neighbours and promote community. Inside the pavilion, the V&A has commissioned a new work by Korean artist Do Ho Suh, whose practice is centred on the idea of home as both a physical structure and a lived experience. 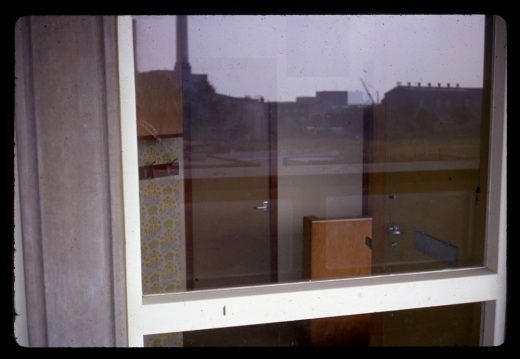 Suh’s panoramic film is both site-specific and time-specific – a document of the Smithson’s modular interiors as they have been adapted, decorated and furnished by residents. It is also a wider meditation on home, memory and displacement within a physical structure that is on the verge of demolition, less than fifty years after the architects’ utopian vision was completed. Suh has used time-lapse photography, drone footage, 3D-scanning and photogrammetry to create a visual journey in which the camera pans vertically and horizontally through the building, moving seamlessly from one space to another to reveal individual lives within the modular plan. The work responds to the indistinct boundaries between psychic interior and objective exterior, while reflecting on these homes and their meaning within a physical structure that is about to disappear. 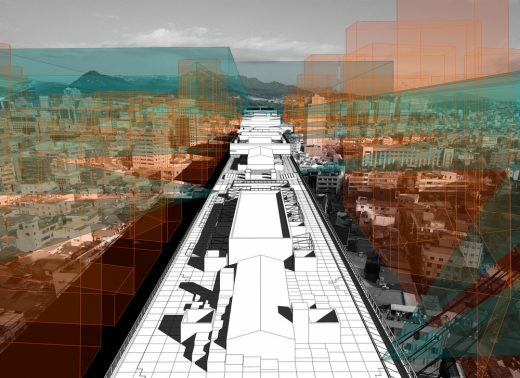 The Department for Design, Architecture and Digital promotes the study of contemporary design and architecture and its impact on society. It also stimulates new modes of collection, curation and public engagement. The department is responsible for the V&A’s Rapid Response Gallery, which displays items collected as evidence of social, political and economic change, forming a permanent legacy of objects that represent the world we live in today. As the home of the national collection of architecture, the V&A holds monumental plastercasts, largescale architectural fragments and entire historic rooms as well as models, drawings and sketchbooks by major British and international architects. 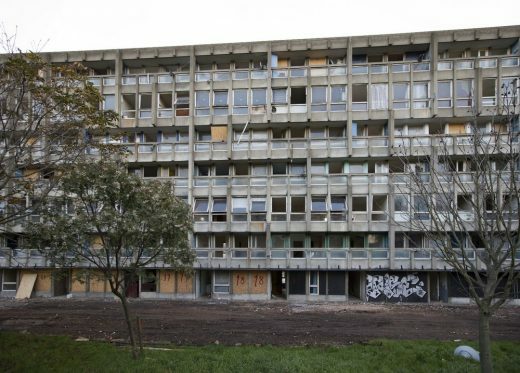 The V&A’s acquisition of Robin Hood Gardens has been made possible by partnership-working between the development partners, Swan Housing Association, London Borough of Tower Hamlets and the Mayor of London who have collaborated with the V&A and muf architecture/art in the removal.